I first read about the lovely vintage clothing store, Bloomers and Frocks, in an interview with The Glamorous Housewife. Rebekka Adams, the owner and curator, lives in Austin, and I met her at Texas Style Council in 2013. In addition to her beautiful Etsy store, Adams recently opened a brick and mortar store within Gypsies Antiques on Burnet Road, and I’ve been planning to visit for a while now. Saturday evening, Ryan’s parents watched the boys while we left the house for a few hours, and the first place we headed was to Bloomers and Frocks. I was incredibly impressed with all of the beautiful clothing and accessories, and I had so much fun browsing through the entire shop. The owner of Gypsies Antiques said that Adams really curates her clothing well, and it’s obvious from the state of the pieces in her boutique. Each item is in wonderful condition, clean, and ready to wear. I found a few pieces to bring home, but I’ve got my eye on quite a few more. 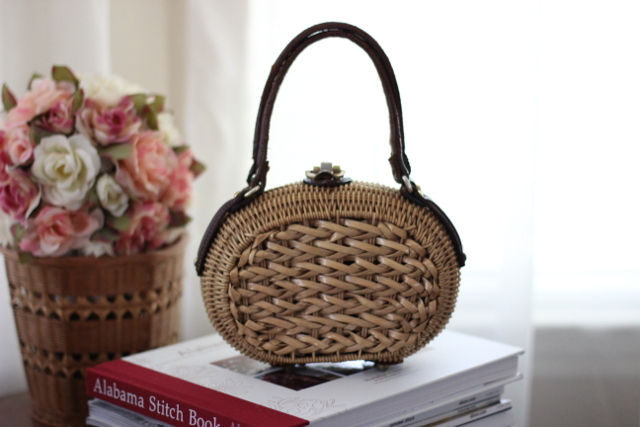 The vintage handbag shown above is such a work of art and I couldn’t leave without it. I can use it with dresses in the spring and summer, but it’s such a beautiful display piece and I love looking it at. 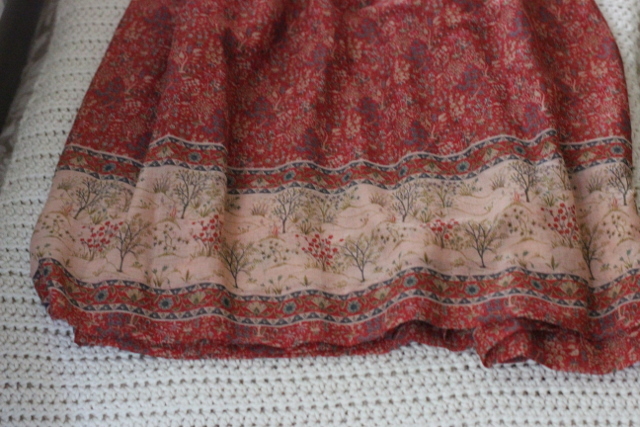 And I also found this adorable printed skirt that will be perfect in the summer. It’s very lightweight and will work well with a simple tee. If you’re in Austin, treat yourself with a visit to Bloomers and Frocks inside Gypsies Antiques, and be sure to visit Bloomers and Frocks on Etsy, too. Deborah is my milk paint supplier! Gypsie’s is one of my favorite places to visit. I didn’t realize there was a new store within but I’ll check it out next time. Oh yeah, I remember you said you went there. Definitely go see Rebekka’s boutique at the back. It’s gorgeous. Thank you so much, Chelsea. It was fun!